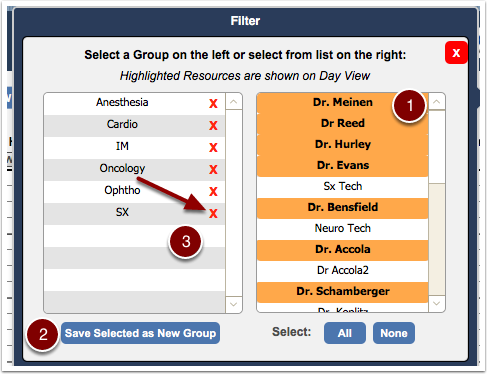 Our appointment module allows users to associate functionally similar providers (or recourses) such that you are able to view (filter) them in a single view. 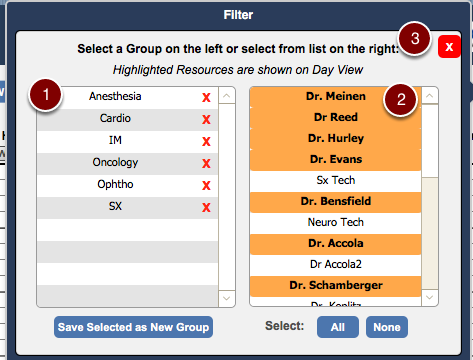 You are able to group together all your surgeons, anesthesiologist and MRI into a Surgical Group. 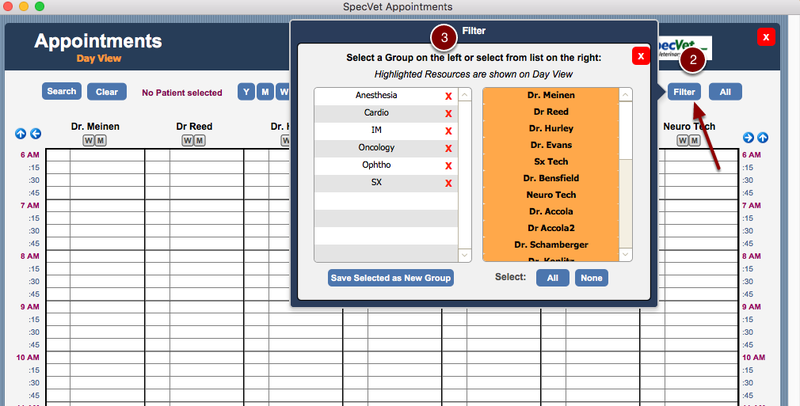 Users are then able to easily view all their schedules together by filtering by that Surgical Group. 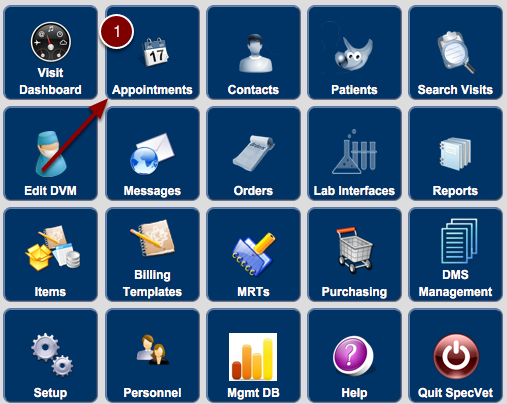 Prev: How do I create a visit?